Had enough of savouries and moving on to sweets? We all know Thai cuisine tastes divine, but Thai desserts are equally marvellous. 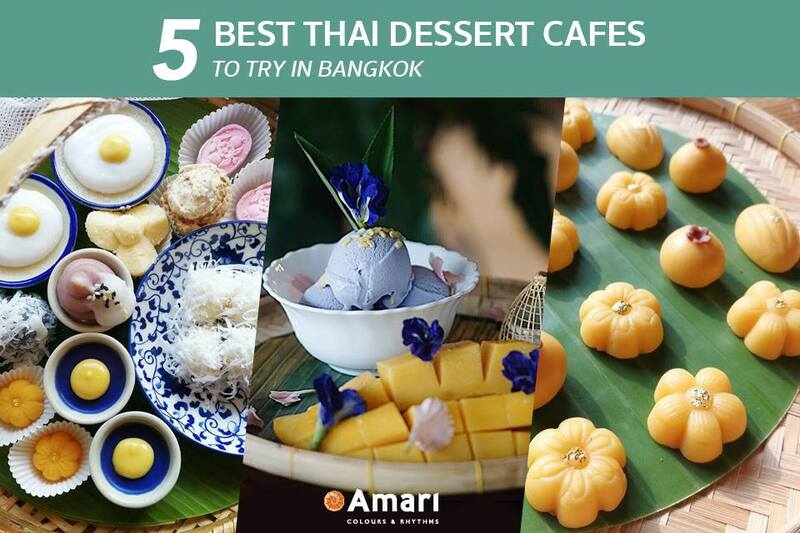 Not only known for its aromatic and heavenly taste but also for its exquisite presentation, feel free to indulge in the rich taste of Thai dessert at these five Amari-recommended cafes! Trust us, you’ll be falling in love. A hipster district and a heaven for cafe hoppers, Ari hosts a cosy two-storey Thai dessert cafe called One Dee or Good Day in Thai. 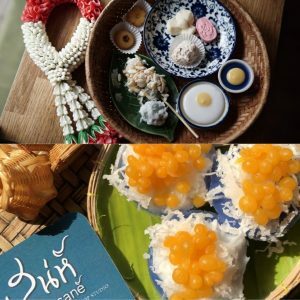 It is a perfect place to escape the heat and enjoy the the creamy taste of coconut ice cream or a cup of Thai tea sprinkled with coconut whipped cream and Foi Thong (Shredded Egg Yolk Tart). Their western beverages are also carefully crafted using Thai ingredients, totally worth the try! 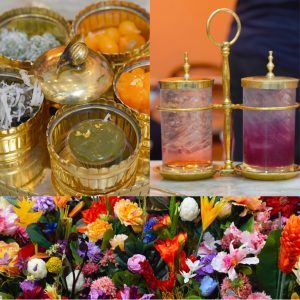 Like stepping into a field of flowers, the spa-owned Divana Signature Cafe is pleasing to the senses: it smells celestial, it’s aesthetically pleasing, and it definitely tastes delicious. 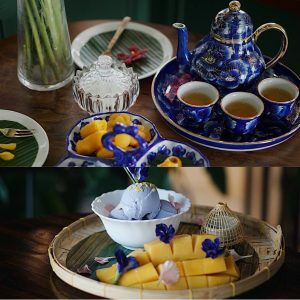 One of the must-trys is the afternoon tea set with its aromatic tea and traditional Thai sweets. Conveniently located at Central World, it is just a few minutes’ walk away from Amari Watergate. 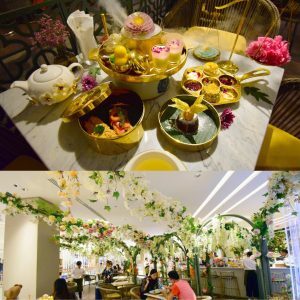 Featuring a clothing store upstairs and a vivacious cafe downstairs, Thongyoy is definitely one of the most Instagram-worthy cafes in town. Colourfully decorated with overflowing flowers, Thong Yoy offers a variety of traditional Thai delicacies served in golden brass utensils. If it’s too hard to choose just one, why not order a Tea Set where you can enjoy five desserts and two drinks to indulge in? You know that home-cooked taste of Grandma’s recipe that makes you warm and happy inside? Cher Cheeva is the Thai version of that. Freshly made from the heart, the desserts at Cher Cheeva can be described as authentic and timeless. Menus range from small afternoon tea sets with nine traditional yolk desserts to huge delicacies with a luxurious selection of Thai sweets. 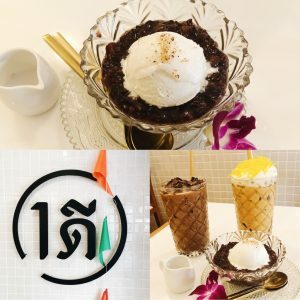 Situated on Khaosan Road right in the heart of Bangkok Old town, is where you will find another Thai dessert café, “Sane”. Possessing a certain “charm” like its Thai translation, Sane offers delicious rare Thai sweets at affordable prices. More than just your typical dessert cafe, Sane also hosts workshops where you can learn how to make some of their delicacies!